Police [in Norway] took up pursuit in cyberspace after a young Norwegian posted on the Internet video of his wild car driving. Following an electronic trail that he left online, police caught him and slapped him with real-life fine $1,300. The Norwegian, identified only as a man in his early 20s, posted the video called “Driving in Norway” on Google Inc.’s popular video-sharing site YouTube. The recording showed the car’s speedometer hitting up to 150 miles – 240 kilometers – per hour on a public highway near Oslo. How do you handcuff an emu? A German policeman had his trousers ripped off after he tried to arrest a giant emu. 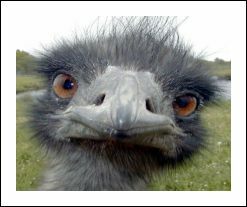 The emu had been pestering passers by at a park in Kaarst, western Germany. 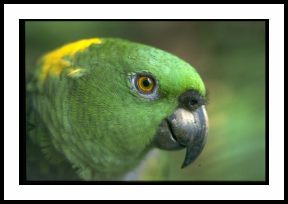 A day later a three foot red and green parrot ripped the arm off a policemans jacket when he tried to grab it after it was spotted screeching at hikers in a forest at Wallduern in southwestern Germany. Both birds are being held by police while they search for the owners. November 30, 2006 Posted by oldstersview | Uncategorized	| Comments Off on How do you handcuff an emu? Is that a guitar in your pocket, or are you just glad to see me? The guitar-shaped bulge in Morgan Conatser’s clothing tipped off a music store owner that there might be a crime in progress. Clifton Lovell, owner of Guitars and Cadillacs on U.S. Highway 71 in De Queen, was talking with a customer last week when he saw Conatser, 29, walking out of the store. “I saw him walking out to his pickup truck and the bulges in his leather jacket. I said, ‘Hey what have you got there,'” Clifton Lovell said. Conatser then removed a solid body electric guitar from his pants leg and from underneath his jacket. “The neck of the guitar was almost down to his knee and the back of the guitar was almost up to his neck. It wasn’t hard to spot. There was no way he could sit down or get into the pickup,” Lovell said. This car was stolen in Tampa, Florida, recently. It’s inconspicuous but if you happen to see it beside you at a stop light please call the Tampa Police. Thank you. 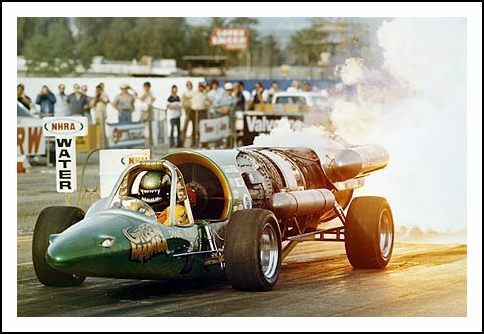 November 29, 2006 Posted by oldstersview | Uncategorized	| Comments Off on Have you seen this car? Police in Melbourne, Fla., are searching for a suspicious man spotted with a pocket full of screwdrivers leaving a women’s restroom, according to a Local 6 News report. Authorities said the man with the screwdrivers was spotted near the River View Park. When officers tried to stop and question the man, he fled and then jumped into the Indian River. A police K-9 unit and helicopter searched for the man but found nothing, Local 6 News reported. Police still do not know what the man was doing. Remember the man who drove off a 100 foot cliff? Just an amateur. A Croatian man escaped almost unhurt after crashing 700ft down the side of a canyon in his car and landing in a tree. 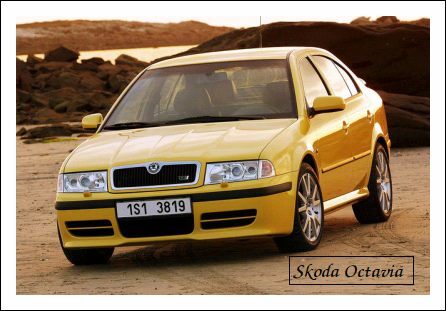 Cedo Jerbic was left with only a few bruised ribs after losing control of his Skoda Octavia on the Velebit mountain, driving off the road into a canyon. His car hit the rock wall of the deep gully twice before getting caught in the branches of a tree on the canyon floor 700ft below. Jerbic used his mobile phone to call rescue services who pulled him out of the car. Doctors who examined him said that apart from bruising to his chest he was unhurt. Jerbic told them that he had been wearing his seatbelt and during the fall the car’s airbags had inflated, protecting him from serious injury. November 29, 2006 Posted by oldstersview | DIY, Uncategorized	| Comments Off on Remember the man who drove off a 100 foot cliff? Just an amateur. A window cleaner fell asleep on the job – while working on the 20th floor of a US skyscraper. Passers-by in Nashville, Tennessee, called the fire department after noticing the man was not moving. Assistant Fire Chief Lee Bergeron told the Tennessean it “looked like he just fell asleep”. The man came to after firefighters tugged on his ropes, then held up a sign from inside the window to get his attention. The window cleaner lowered himself to the pavement, where he walked over to an ambulance to be examined by paramedics. An Alice Springs [Australia} apiarist says he is predicting big rains for central Australia within the next two months because of some unusual behaviour by his bees. Keith Brooke says the bees have put breeding on hold and have started storing food…[and] are also using wax to seal their hives as they did before previous floods in Alice Springs. “They actually get the little wax flakes and mix it up with the propolis and use it as corking or sealing compound around the cracks in the hive and up in the ventilators,” he said. “They are supposed to have four ventilators in them but they block them up with propolis. It’s very reminiscent of [the late]…88-87 [period of] , quite heavy, substantial rain. Even the commissioner of the Virginia Department of Transportation couldn’t get a break from the Department of Motor Vehicle’s rules on issuing new driver’s licenses. VDOT Commissioner Dave Ekern visited a DMV office last week to get his license but lacked documents to prove he is a legal resident of Virginia. Ekern was Idaho’s transportation director for three years before his Virginia appointment in September. Ekern went home, found the proper paperwork and headed back to stand in line again. His wife, a licensed Virginia driver, managed to get approved on her first try. “My wife is obviously a much better negotiator than I am,” he told legislators at a committee meeting on Monday. There were no hard feelings because of the snub. “He was amused about it and proud that DMV workers were doing their jobs,” Jeff Caldwell, a spokesman for VDOT, said Tuesday. Drug Tests for chess players?? Chess’s world governing body will introduce dope testing at the Asian Games this week, although the sport’s top official in Doha said he had no idea how drugs could enhance chess performance. “I would not know which drug could possibly help a chess player to improve his game,” competition manager Yousuf Ahmad Ali said. Drug testing is the latest move by the World Chess Federation (FIDE) to raise international standards in the hope of making chess an Olympic sport in the future. A Romanian woman was sent the body of her dead father in the post after a cemetery was sold to developers. Aurelia Cenusa, from Severin, says clergy in her father’s hometown of Darvari, 300 miles away, told her the graveyard his body had been buried in was to be sold and his body exhumed. She said she thought the priest was joking when he told her to come and collect her father Rafaila Cojocaru’s remains – or receive them in the post. She added that she intended to sue church officials. Local police have launched an investigation. A German couple caught speeding on their way to give birth were given a toy for their new baby instead of a ticket. Barbara and Johann Meyer, from Wachtberg, initially received a ticket after a speed camera photographed them breaking the speed limit. But when they told authorities that they were on their way to hospital where Barbara gave birth to their first baby, police cancelled the fine. Instead, they sent them a toy police officer in uniform – holding a speed camera. 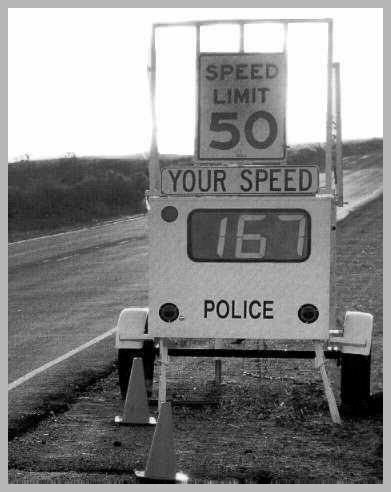 Police also recommended the Meyers put the original speeding camera image into their son’s first photo album. OK, so he isn’t too bright. A South African man was fined by a local court …for taking time off from work and trying to cover it with a fake gynaecologist’s certificate attesting he was pregnant and needed a week off. A magistrate’s court in Vereeniging, near Johannesburg, fined 27-year-old Charles Sibindana 1000 rand ($180) for the brazen forgery, the SAPA news agency reported. Sibindana stole a medical certificate from a health centre used by his pregnant girlfriend, but was apparently unaware that only women consulted gynaecologists. Magistrate Bruno Van Eeden jokingly warned Sibindana “not to walk around faking sick letters from gynaecologists”. November 27, 2006 Posted by oldstersview | Uncategorized	| Comments Off on OK, so he isn’t too bright. Divers have found the wreck of a Japanese midget submarine that attacked Sydney Harbour in 1942 and brought World War Two to Australia’s biggest city, ending a 64-year mystery over its fate. The missing two-man submarine M24 was one of a trio that slipped in darkness past protective nets stretched across the harbour entrance on May 31, 1942, with a plan to attack shipping, including the American battle cruiser USS Chicago. Two of the 46-tonne subs were sunk. But the M24 fired two torpedoes, one of which sank the converted ferry HMAS Kuttabul, killing 19 Australian sailors and two Britons before vanishing under heavy fire. The other torpedo failed to explode. The wreck of the long-sought submarine was found by recreational divers in deep water 3 nautical miles (5.5 km) off Sydney’s north coast. Maybe he needs a little job counseling? Irish police have told a man dubbed Ireland’s dumbest crook to give up his disastrous criminal career before it gets the better of him. The unnamed man in his 30s has been arrested three times and each heist has brought him closer to the hereafter. Police took the man into custody and to the hospital at the weekend after he was hit by a truck while making a getaway from a betting shop robbery, the Irish Sun newspaper reported. He has also been plucked from a chimney where he became stuck while trying to burgle a house, and from the ceiling of a bank where he was pinned by a security device. When they arrived at the bank he was dangling by one leg and stuffing cash into his underpants. “Go straight before you kill yourself,” the Sun quoted Dublin police as having told him. November 27, 2006 Posted by oldstersview | Uncategorized	| Comments Off on Maybe he needs a little job counseling? Bizarre local sightings [in Wisconsin] evoked a nationwide fascination with Big Foot.In Washington County there have been several reports of a 7-foot hairy creature with pointy ears.Steve Krueger was doing his job on Nov. 9 — removing road-side deer carcasses overnight for the Department of Natural Resources. Krueger said he had just made a pick-up along a remote road near Holy Hill about 1:30 a.m., and he was in the cab doing some paperwork. When his parked truck started shaking, he looked in the rear view mirror and got the scare of his life.He said his flashing lights illuminated a huge hairy beast standing on its hind legs — dragging a deer off the open tailgate.”All I saw was the creature. One paw — or whatever was on it — reaching over to grab the deer. The head looked like a cross between a bear and a wolf,” said Krueger. “It had big pointy ears like a wolf. It scared the living heck out of me. I threw it into drive and off I went.”He said the creature was the color of a bear and had a snout like a bear.Krueger said he drove around in fear for about five minutes before returning to the area. He said when he arrived there was no sign of the creature or the deer.Soon after an interview on television Krueger said he was bombarded with phone calls. He said that it would be his last interview, and that if it happened again he wouldn’t report it. After watching the interview a second man came forward to report that he had a similar experience. November 27, 2006 Posted by oldstersview | Uncategorized	| Comments Off on Bigfoot’s Cousin? Santa Claus is being banned from Christmas markets in Germany and Austria. (The English language translation of the name of these markets is Christ Child Market.) The movement began in Vienna and has been followed by Christmas markets across Austria and Germany. 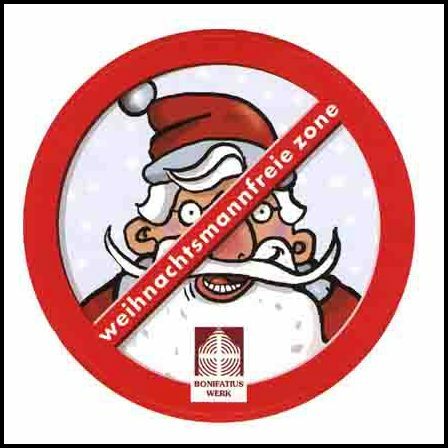 The only Santa depiction you’ll see in these markets is the one on the occasional sticker banning Santa (Weinachtsmann). The lady has a point. German traffic police were shocked to see a California Highway Patrol car cruising along the motorway, driven by a man dressed as an authentic American cop, authorities said Thursday. But they recovered sufficiently to book the 35-year-old Goettingen resident, whose uniform badge read “T.J. Lazer,” for possessing a replica Smith & Wesson revolver without a licence and having out-of-date registration plates. “He was sitting at the wheel with his elbow on the window like in the best TV crime series,” said Osthessen police spokesman Martin Schaefer. “Because wearing such a uniform in public is also prohibited, he had to exchange it for civilian dress after a shopping trip with real [cops],” he added. The man told police he had been taking the 30-year-old vehicle to Bavaria to sell it and wanted to impress the buyer. November 25, 2006 Posted by oldstersview | Uncategorized	| Comments Off on Who?! ME? ?